It’s no secret DC Comics and Warner Bros. are attempting to construct a cinematic universe to rival what Marvel has. To that effect, a new trailer for Suicide Squad dropped yesterday, and it’s already starting to connect some dots to DC’s other superhero flicks. The trailer opens with government officials discussing the possibility of Superman turning against the United States, a theme heavily covered in the recently released Batman V Superman: Dawn of Justice. We also get another fleetingly brief look at what appears to be Batman in action. We don’t get much in the way of new story information, but we do get a whole slew of jokes. In what may be seen as a response to the dismal reviews of the ultra-serious Dawn of Justice, the one-liners come flying at a breakneck speed. You can determine for yourself how many of these jokes actually land. Jared Leto’s Joker gets a decent bit of screen time as well. While I’m still not completely sold on the look of the character (or Leto’s bizarre antics to prepare for the role), he’s nailed down a pretty good voice for the character, at the very least. Watch the full trailer below, and tell us how you feel about it in the comments. 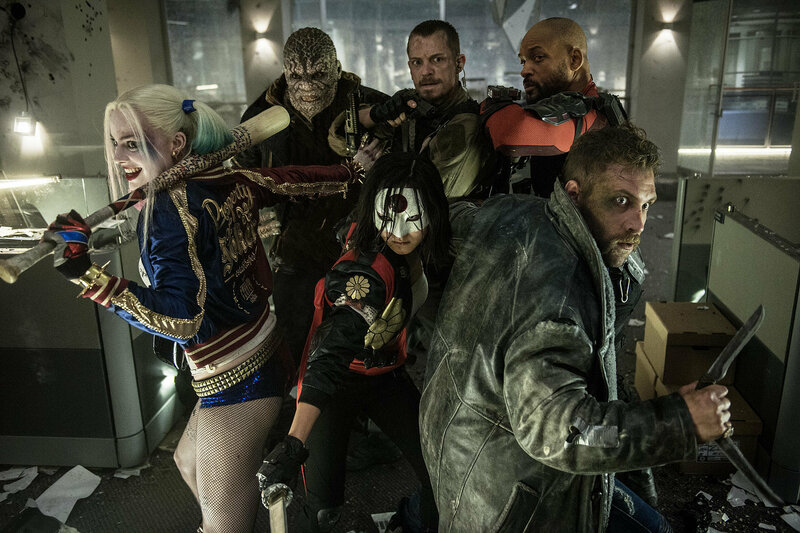 Suicide Squad, directed by David Ayer and starring Margot Robbie, Will Smith, Jared Leto, Joel Kinnaman, and Viola Davis hits theaters August 5.